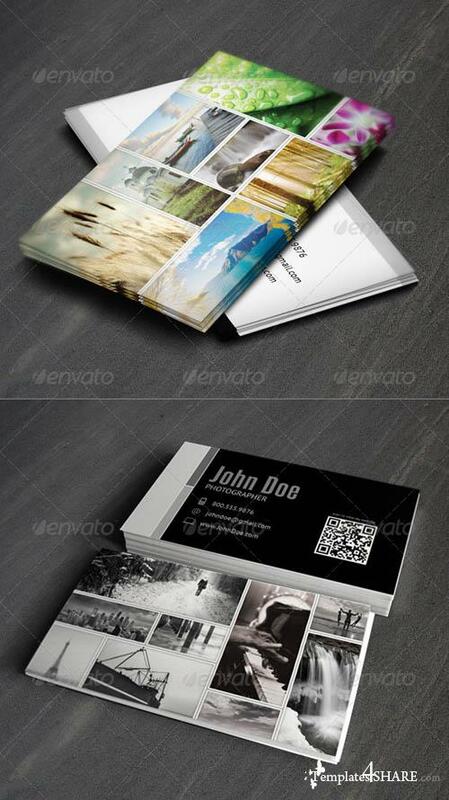 Impress your clients with these beautiful collage style business cards. These are perfect for showing off your hard work, and they include an area for a QR code to link potential clients to your website. 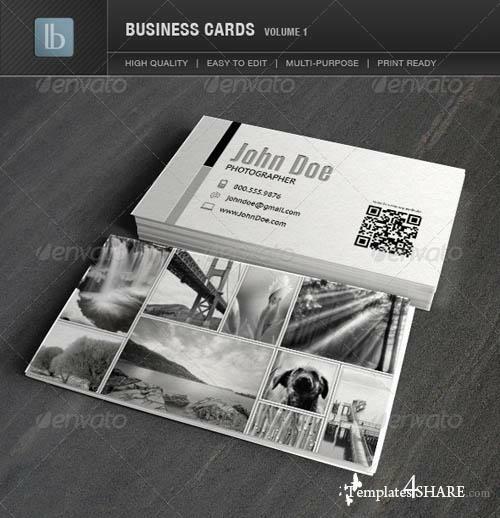 This package includes 3 unique business cards (front and back) designed in Photoshop. Well organized layer sets makes it easy to edit. Fully customizable and very easy to update. All fonts used are available for download, nice and easy! These are perfect for photographers and anyone who loves photo collages.